Anyone who has watched a “making of” documentary about the creation of an animated film knows that animation is a painstaking, time-consuming process. This has a profound effect on the timeframes in which films are produced and the budgets needed to make them. Because of this, whilst planning an animated production (or even a complex live action sequence) it is then important to pre-visualise it. This provides an opportunity to see if what you have planned edits together well and if a sequence, or whole film, is as successful and entertaining as you hoped. To previsualise the film, we create something called an Animatic. In its simplest form, an animatic is essentially a rough draft of a film or sequence, consisting of simple storyboarded panels (sketchily drawn images of each shot in a sequence) that are timed out with a temporary soundtrack (voices, music and some sound effects). This then creates a crude draft of a film allowing the filmmaker to test timings and see if the intended meaning of the sequence is conveyed and if, visually, it flows. By creating this draft, you can identify any issues within a sequence before the time consuming process of animation takes place. If a sequence of shots doesn’t work you can draw some new storyboards and tweak it very quickly. You may find that an entire sequence may be unnecessary, or, that to increase the emotional impact of a scene, altering the framing makes a greater impact. Within the animatic you can refine quickly and effectively the structure and content before the commencement of the animation itself. 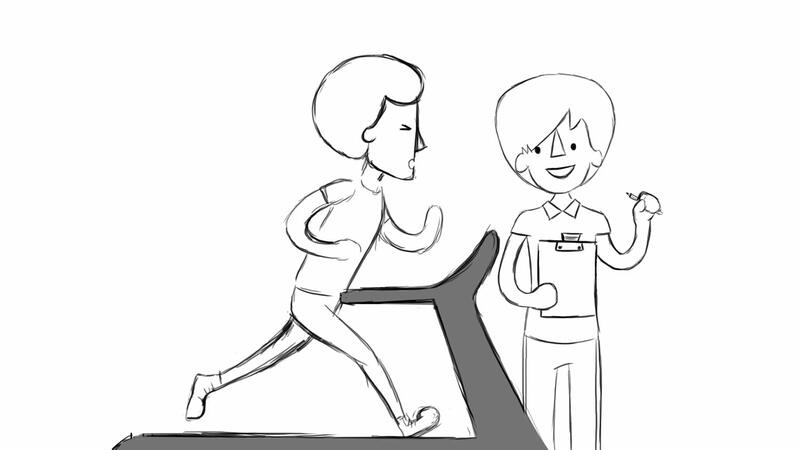 Animatics can be as simple or as complex as you need them to be, from stick figures to well-drawn characters and sets. 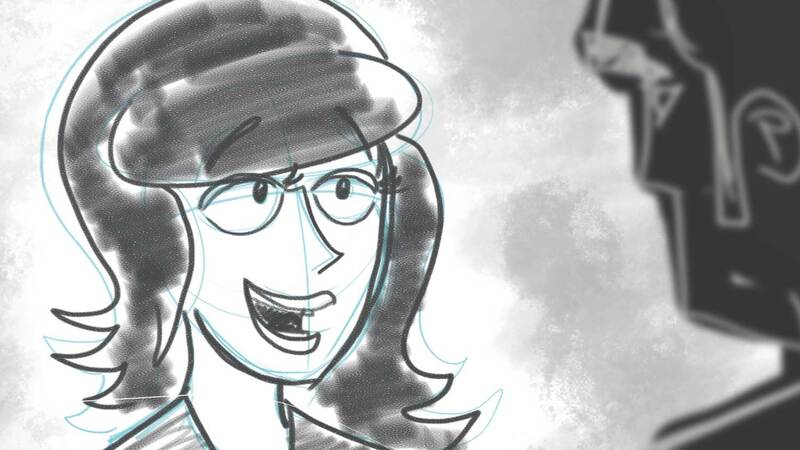 A quick pencil sketched storyboard is much faster to create than a finished animated sequence and, if any changes are needed, this is the time to do it. Some animatics may show how camera movements work within a sequence and even feature some rough blocked out animation. The complexity of the animatic relates to the complexity of the scene, the degree to which you want to check how a film works, and who and how many people need to see it. For example, if a large group of clients and animators need to see it, a more complex animatic may be created to communicate what the final output would look like. 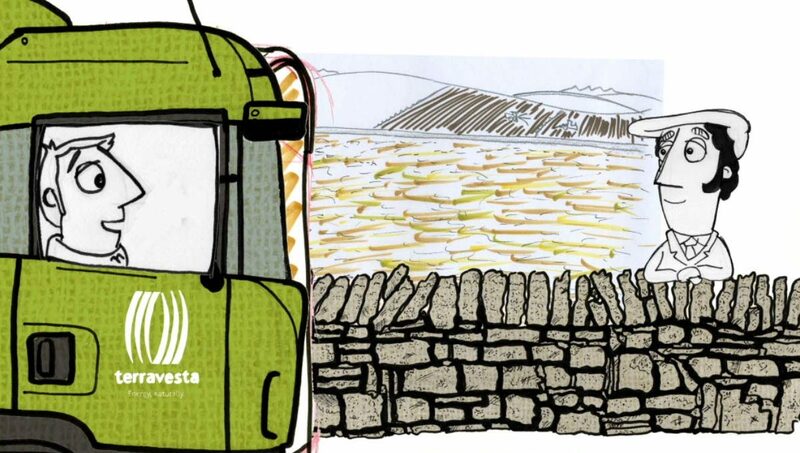 As well as a tool for the filmmaker to pre-visualise the film, an animatic can give a client an idea as to how the film will work, how it will be paced and how it will communicate its message. Thus within commissioned productions it is a vital production process to give a client opportunity to feedback at an early stage. 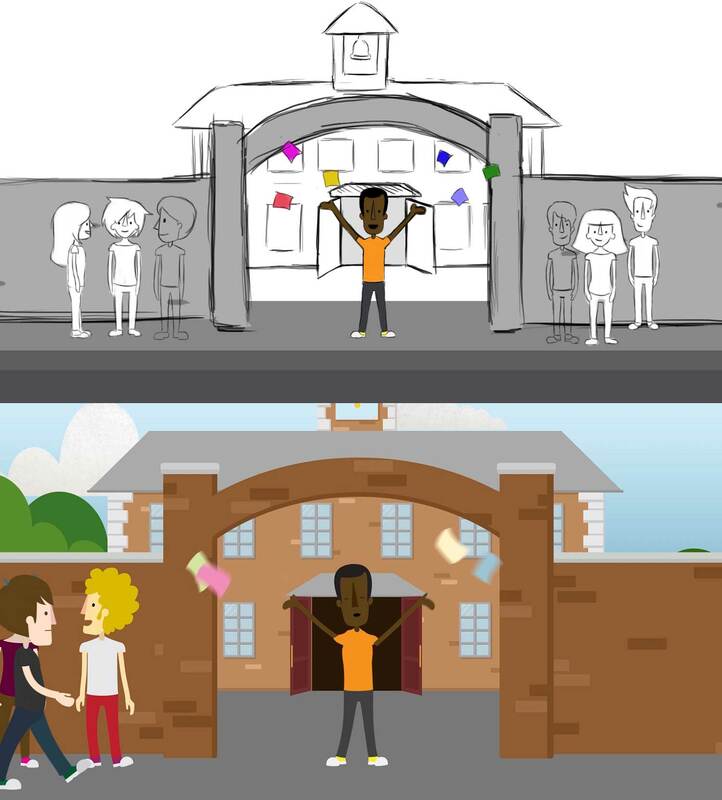 A comparison of an animatic still and final composition from ‘Why Choose Higher Education’, one of our Lincolnshire Outreach Network films. At Electric Egg the animatic is a vital tool for planning animation. It allows us to communicate, experiment and refine and gives us something to show a client a the rough idea of what their film is going to look and sound like. It gives clients an opportunity to feedback and suggest changes before a single frame is animated and ensures that the film’s budget is kept as low as possible whilst ensuring it achieves everything a client needs it to.